There are tournaments and then there are events. 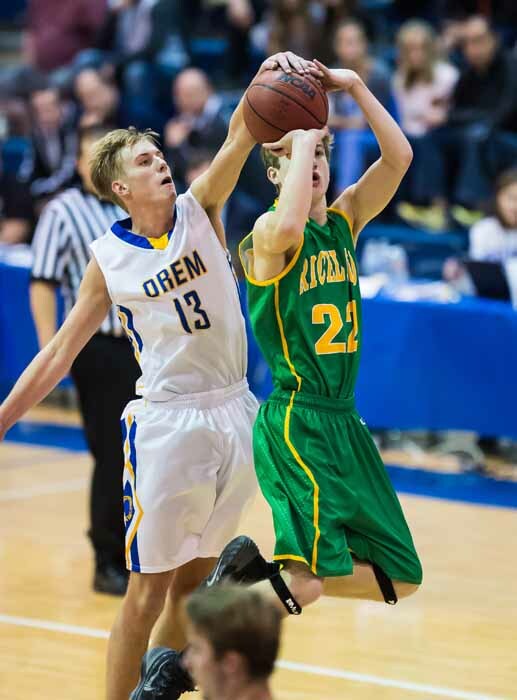 With designed matchups and no traditional win-and-advance tournament format, the FreeTaxUSA.com Shootout, hosted Thursday, Friday and Saturday at Orem High’s Tiger Fieldhouse is designed to be an event. This is the fifth year for the Shootout and the field of teams coming in from outside the state continues to impress. It’s a few high-profile in-state teams combined with those visitors that make the Shootout what it is. 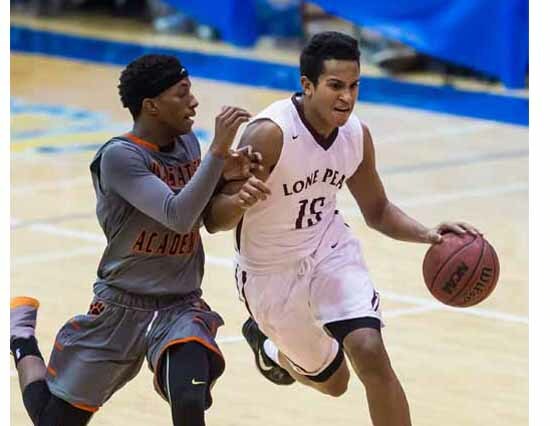 Lone Peak is once again the major in-state draw, featuring future Duke Blue Devil Frank Jackson, ranked as the No. 14 player nationally in the current senior class by ESPN. Miller Grove, from Lithonia, Georgia, is the top team coming in from out of state. The Wolverines are a Top 20 team in the country according to ESPN, and they feature University of Connecticut signee Alterique Gilbert, also a Top 25 national prospect. The Shootout also features Wasatch Academy, the Mount Pleasant team that plays an independent schedule against mostly out-of-state competition. The host Orem Tigers have become a fixture in Class 4A postseason play, and Timpview has one of the deepest rosters in the state this season. Three Utah teams – Mountain View, Timpanogos and Salem Hills will all play one game each in the Shootout. The rest of the out-of-state field includes talented teams from Los Angeles (Fremont), North Carolina (Charlotte Christian), Mesa, Arizona (Mountain View) and Henderson, Nevada (Foothill). It’s become the place to be for high-level hoops over the past five years and the field is strong once again. Five games will be played each day, with Saturday’s schedule still undetermined except for a matchup between Timpanogos and Foothill (Nevada). There will also be a slam dunk contest featuring Jackson and Timpview’s BYU-bound senior Gavin Baxter, among others, at 5:15 p.m. Saturday. The game of the day is actually the one not being played at Tiger Fieldhouse. It’s a chance to find out just how good Wasatch Academy is as the Tigers battle perennial Class 5A power Lone Peak. The Knights have won their two games thus far, knocking off defending 5A state champion Layton and beating the Viewmont team that shocked Lone Peak in the state quarterfinals a year ago. Jackson is scoring 38 points per game and living up to all the hype. Wasatch Academy has played six of its seven games at out-of-state tournaments, both of which it won. 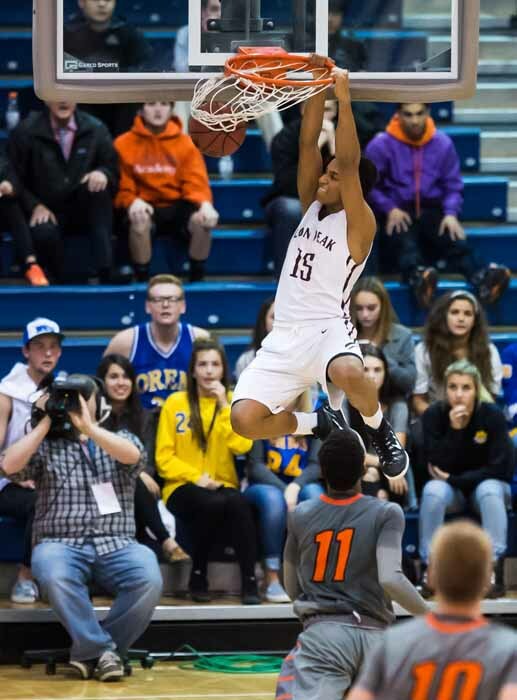 Koby McEwen (Utah State commit) is scoring more than 15 points per game on a deep and talented team that also gets nearly 15 a night from 6-foot-6 junior forward Shamiel Stevenson and double digits from 6-7 junior forward Jackson Rowe. Due to Lone Peak’s scheduling conflicts this game is being contested at 7 p.m. Thursday in Wasatch Academy’s gym in Mount Pleasant. It will be streamed live online for those who don’t have the extra couple of hours for the round trip. Miller Grove (Georgia) (5-1) vs. Fremont (Los Angeles) (4-1), 5:30 p.m.
Back at the main tournament venue, the 5:30 game Thursday features a pair of teams from outside the state in what should be an exciting contest. Gilbert, a 5-11 senior point guard, leads Miller Grove with nearly 18 points, 6.4 assists and 5 steals per game. With 6-foot freshman guard Jalen Mason, 6-4 senior forward Colin Young and 6-6 senior forward Raylon Richardson adding to the mix, the Wolverines will be tough to beat. Fremont is off to a great start this year, led by 6-6 senior forward Dayshone Henry (15.8 PPG, 10 RPG) and 6-2 senior guard Lou Walter (14.3 PPG, 5.3 RPG). 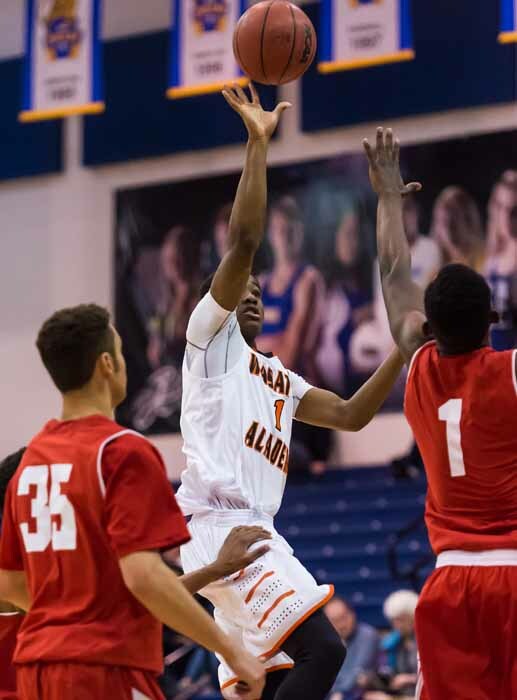 Antionio May, a 6-4 junior forward is a menace on the glass and Marquis McKinzy dishes out six assists per night. Orem (2-1) vs. Charlotte Christian (3-3), 7 p.m. 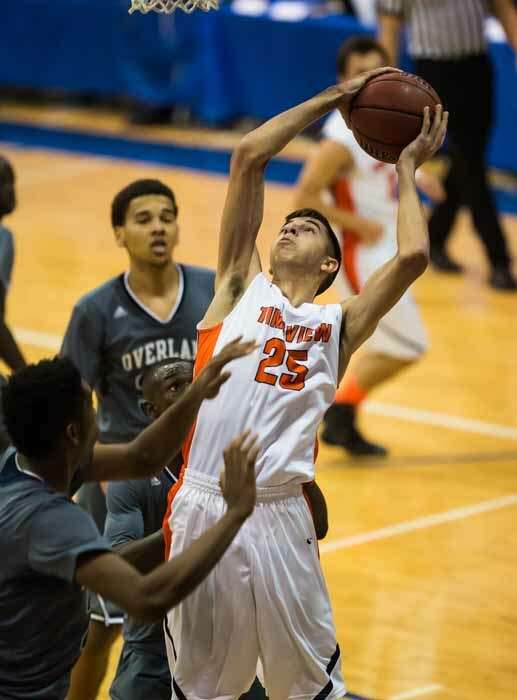 The Tigers are much more guard-oriented this year than usual, and their best player is 6-5 senior forward Will Clark, but so far he has not been on the court, leaving 6-foot senior Jake Stayner (12.23 PPG) and 6-8 senior forward Noah Johnson (9 PPG, 7.33 RPG) as the leaders on a balanced team that will look to get rolling in its own Shootout. Charlotte Christian is led by 6-5 junior forward Rob Peterson (13 PPG, 11 RPG) and 6-1 freshman guard JC Tharrington (11.8 PPG, 4.8 APG). This should be a nice test for the Tigers to get things going. Mountain View (Mesa, AZ) (2-1) vs. Wasatch Academy, 2:30 p.m. The other Mountain View, the one from Arizona, will try to counter the Tigers depth and size with a team led by its top performer from last year, Tommy Kuhse, a 6-2 senior guard. Throw in 6-5 senior forward Zane Jowaiszas and you have the possibility for a very good team. This game will certainly help the Toros find out where things stand. Lone Peak vs. Fremont, 7 p.m.
Jackson and 6-4 junior forward Nate Harkness (15.5 PPG) lead the Knights against a very talented team from Los Angeles. Should be a whole lot of athletic ability on display. Timpview (1-0) vs. Miller Grove, 8:30 p.m. This one has the look of appointment viewing. The Thunderbirds have played just one game thus far, a mismatch win over Uintah in which they shot lights out. Playing a nationally ranked team will be a great test for Baxter and company. The 6-7 senior forward has a smooth mix of inside and outside game on a team that can fill it up from deep. Samson Nacua provides an athletic wing presence and though just 6-3, AJ Bollinger is a load down low for Timpview. Beyond that, it’s the shooters – seniors Colson Santiago and Levi Wilson, junior Jordan Sagers and sophomore Hunter Ericson. The Saturday matchups will be determined based on the results of the first two days. Click here to link to the tournament’s official website.